I know it is winter but why not dream a little. Even Florida is cool this morning but you have got to love this combination. Can we be this bold? Why Not! 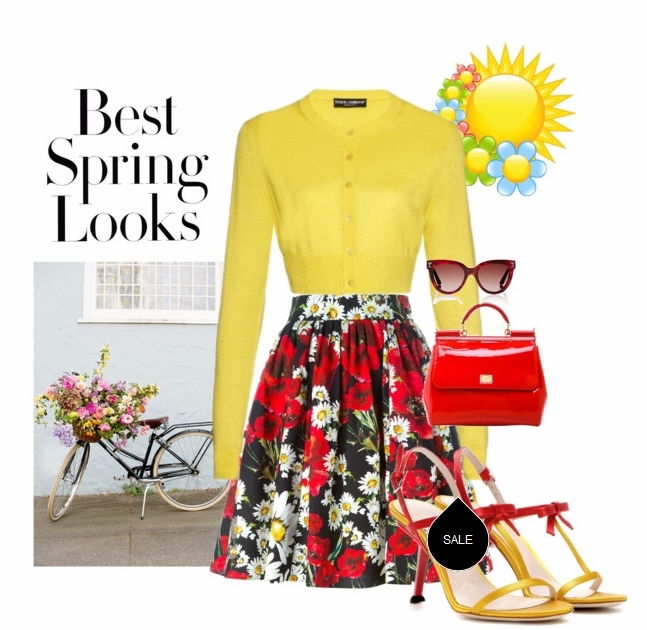 Item are all here on POLYVORE - but shop around. Cool! Dear Rhonda are you are becoming the queen of understatement? It's down right cold on the other side of Florida and more to come with no fireplace to throw on another log. Your right, gotta think Spring. Oh that is so pretty! You have great style. I love that yellow and red. I am going to try that this spring with my yellow and reds.